Maddie got her driver’s license. I am pleased to remove chauffeur from my long list of jobs, but I will miss our time spent together in the car. We had a lot of good conversations when neither of us could escape. Of course, she is thrilled. What 16 year-old wants to drive with the constant monitoring of a parent? But there are so many drivers on the road and so many distractions. When I started driving ages ago no one put make-up on while behind the wheel of a car, (okay maybe a little lipstick in the rear view mirror, at a stop light, but nothing more). No one read a book, let alone talked on the phone or worse sent a text message. People didn’t even eat while they drove. Now with millions of cars on the road and everyone doing who knows what, I’m a little nervous, actually a lot nervous. I find myself saying a lot of prayers and needing a little comfort which for me comes in the form of a cookie. 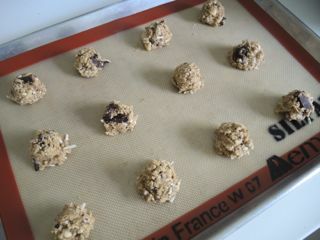 This is basically a chocolate chip cookie recipe, with a few twists - ground, rolled oats add texture, not to mention oats are good comfort food. 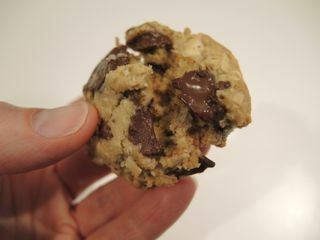 It goes without saying that chocolate is necessary in most cookies, at least in my book. 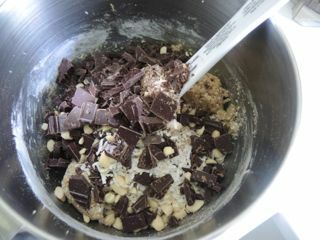 Using rough, chopped, chocolate, chunks (try saying that fast three times) instead of chips give constant bursts of flavor. Plus, chopping the chocolate is a good stress reliever. Coconut and almonds add richness and a touch of crunch. I find most people have a strong opinion about coconut - they either love it or hate it. If you hate it, don't use it. If you feel the same about adding nuts to cookies, leave them out as well. The recipe calls for semi-sweet or bittersweet chocolate, but milk chocolate works fine, too. If you are more of a dried fruit person, add raisins or chopped cherries. Just add (or subtract) whatever brings you comfort. 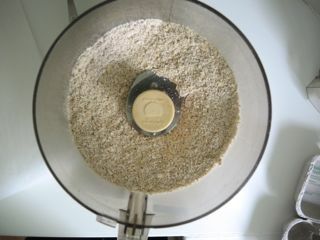 Process rolled oats in a food processor until finely ground. Add flour, baking soda, and salt and process a few seconds to blend. Rough chop any ingredients such as nuts, chocolate, or dried fruit. Or use regular chocolate chips and packaged chopped nuts if you don't need to relieve stress. I used almonds, but pecans, walnuts, or any nut will do. Cream butter and sugars. 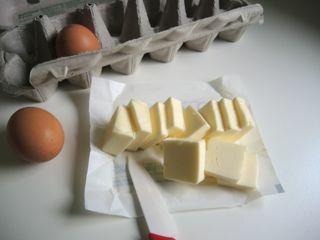 Add eggs and vanilla. Mix until creamy. 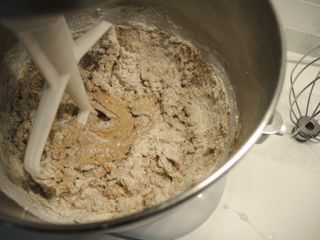 Add the dry ingredients a little at a time and mix on low speed just until incorporated. 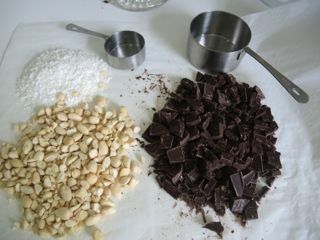 Fold in chocolate, nuts, and coconut with a large rubber spatula . 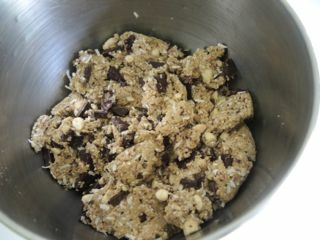 Fold just until blended to keep the cookies tender. A small ice cream scoop makes portioning the cookie dough a snap. Flatten the cookies slightly with the back of the scoop. Let the cookies rest a minute or two before moving to a rack to cool completely. Preheat oven to 350℉ (175℃). 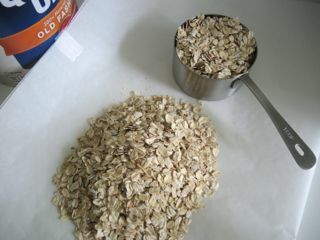 Finely grind oats in a food processor. Add flour, baking soda and salt. Process until blended. 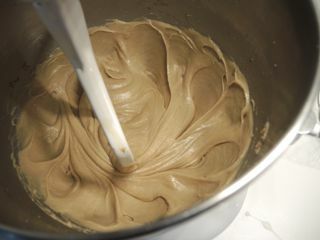 Beat butter and sugars in a mixer. Add eggs and vanilla, continue beating until well blended. Add dry ingredients and mix just until blended. Fold in nuts, coconut, and chocolate. Form dough into balls. 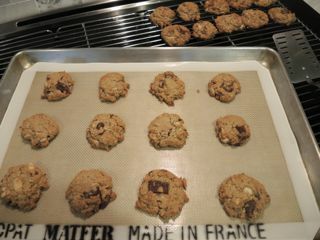 Place on cookie sheet lined with a silicone baking mat, parchment, or a plain ungreased cookie sheet. Flatten cookie ball slightly. Bake for 8-10 minutes. Cool a few minutes on cookie sheet then transfer to a rack to cool completely. 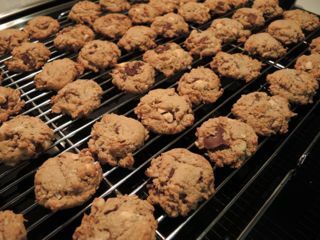 Like most cookies, these are delicious warm from the oven.